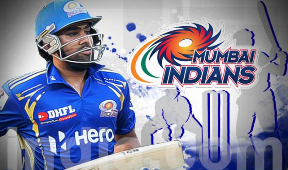 Bengaluru: Mumbai Indians entered in to IPL Finals by winning on Kolkata Knight Riders on Friday. The match held in Bengaluru, KKR started batting first, made 107 runs for 10 wickets. Mumbai bowlers Karan sharma took 4 wickets, bumra 3 wickets and johnson took 2 wickets.